B2B Copywriter, B2C Copywriter, Banner Ad & Blog Designer in the Boston area. Freelance writer Carol Tice predicts there will be epic change to the freelance writing industry in 2017. Companies are moving away from the short 300-word blog posts and looking to be seen as the experts in their fields who aren’t afraid to position themselves with much longer, 1000-word plus posts. Companies are growing and so too is the need for higher-quality, detailed content that attracts readers (aka potential customers) – and they’re willing to pay for writers that can deliver. Social media sharing is still a huge trend and growing and alongside it are the online magazines. We’ll continue to see an increase in online magazine content and with it, social sharing. Sharing a great article today related to building your personal brand and becoming an expert in your field through your online presence. Whether you’re just starting a small business or you’ve reached a plateau after years of steady growth, here are things you should be doing to build your status as a key influencer in your field. Online influence must be carefully cultivated with hard work and sound strategy. Playing a sport in college can be a paying job if you know how to go about it. While there is more involved, here’s a good article from U.S. News & World Report that provides an overview of the process. For more information on getting noticed by college coaches, view our details on creating a Student-Athlete Profile blog. Hello there. Are you a B2B marketing professional who believes in the power of content marketing? 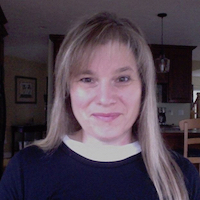 My name is Vicki Blazejowski am I’m a content copywriter who can help you engage your audience, generate more high quality leads, and create newsworthy content that will get your company and its products & services recognized. Writing and copyediting services for business owners. Let your customers see your business the way you envision it. Whether it’s a website, blog, social media, brochure, program book, or a business card, Vicki Blazejowski can help you work through the clutter, organize your thoughts, and present well-defined, clear-cut copy for your business. Once you learn to present yourself effectively, your customers will find you and sales will be made. Welcome. I'm Vicki Blazejowski, a freelance copywriter, blogger, banner ad creator, and blog designer located just north of Boston. AWAI trained and B2C and B2B experienced writing content-rich articles, websites, marketing collateral, emails, letters, ebooks, advertisements, and tutorials.